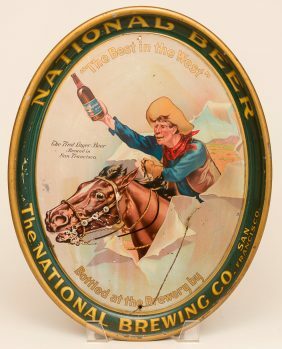 Pre-pro tin litho advertising tray for National Beer by the National Brewing Company of San Francisco, California. This rare tray has been featured on the cover of at least one book and really looks good. This tray does have a nail hole at the top and bottom, along with a large scratch.